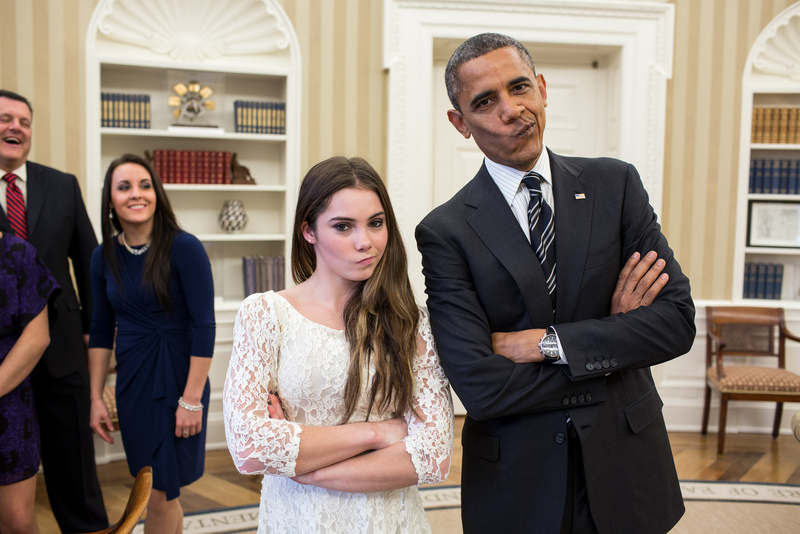 Imagine searching Facebook, Google or Twitter for the status of a bill before Congress and getting an instant result. That future is now here, but it’s not evenly implemented yet. When the Library of Congress launched Congress.gov in 2012, they failed to release the data behind it. Yesterday, that changed when the United States Congress started releasing data online about the status of bills. For the open government advocates, activists and civic hackers that have been working for over a decade for this moment, seeing Congress turn on the data tap was a historic shift. Congressional leaders from both sides of the aisle applauded the release of House and Senate bill status information by the U.S. Government Printing Office and Library of Congress. The impact of open government data releases depend upon publicy and political agency. Releasing the states of bills before Congress in a way that can be baked in by third party apps and services is a critical, laudable step in that direction, but much more remains to be done in making the data more open and putting it to use and re-use. 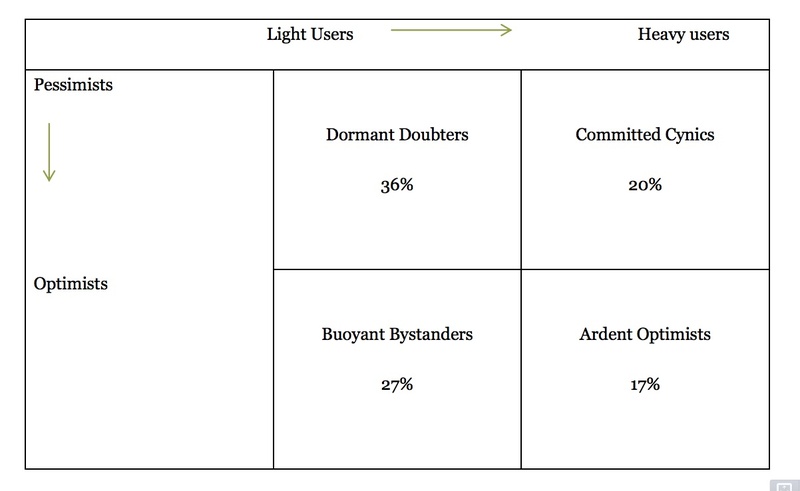 If the Library of Congress opens up an application programming interface for the data that supplies both Congress.gov and the public, it would help to reduce the asynchrony of legislative information between the public and elites who can afford to pay for Politico’s Legislative Compass or Quorum Analytics that is the status quo today. In an era when Congress job approval ratings and trust in government are at historic lows, the shift didn’t make news beyond the Beltway. Govtrack.us, which is based upon data scraped from the Library of Congress, has been online for years. Until this XML data is used by media and technology companies in ways that provide the public with more understanding of what Congress is doing on their behalf and give them more influence in that legislative process, that’s unlikely to change quickly. 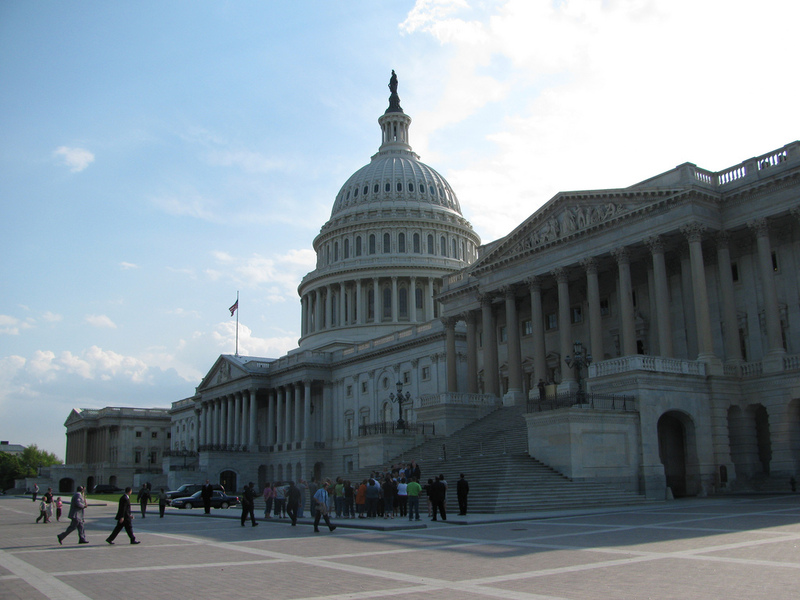 This is the week for seeking feedback on open government in the United States. 4 days ago, the White House published a collaborative online document that digitized the notes from an open government workshop held during Sunshine Week in March. Today, Abby Paulson from OpenTheGovernment.org uploaded a final draft of a Model National Action Plan to the Internet, as a .doc. I’ve uploaded it to Scribd and embedded it below for easy browsing. Nelson shared the document over email with people who contributed to the online draft. Thank you so much for contributing to the civil society model National Action Plan. The Plan has made its way from Google Site to Word doc (attached)! We will share these recommendations with the White House, and I encourage you to share your commitments with any government contacts you have. If you notice any errors made in the transition from web to document, please let me know. If there are any other organizations that should be named as contributors, we will certainly add them as well. The White House’s consultation for their plan will continue throughout the summer, so there are still opportunities to weigh in. Additional recommendations on surveillance transparency and beneficial ownership are in development. We will work to secure meetings with the relevant agencies and officials to discuss these recommendations and make a push for their inclusion in the official government plan. So, expect to hear from us in the coming weeks! In a followup post, the White House shared a link to a collaborative online document where the notes from an open government workshop held during Sunlight Week were posted online for comment. In doing so, they moves from sticky notes to a wiki. What will come of asking the broader public for feedback on the ideas that a workshop of advocates and policy wonks in DC suggested? Stay tuned. 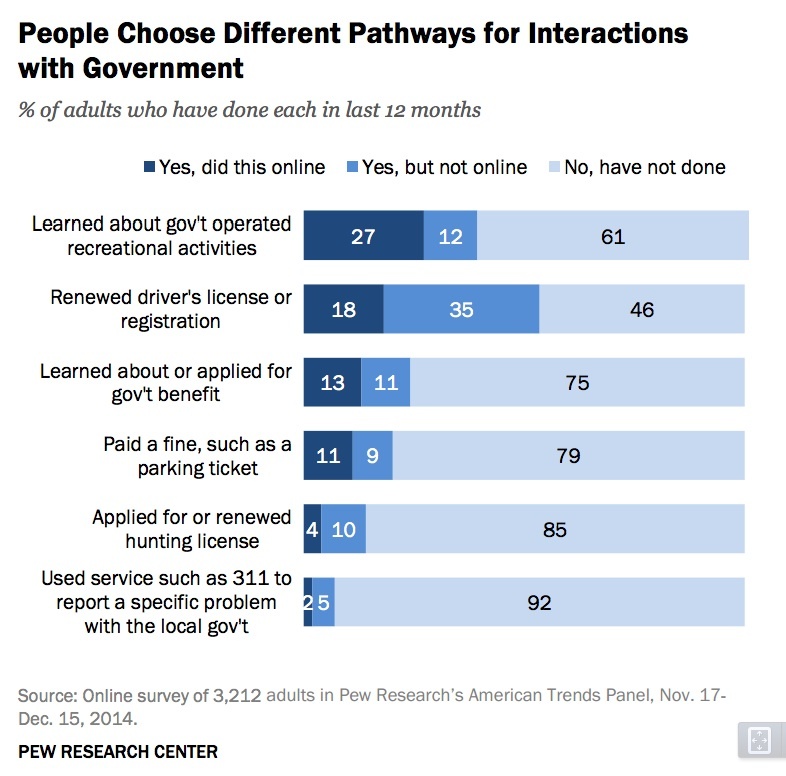 Yesterday, I wrote up 15 key insights from the Pew Internet and Life Project’s new research on the American public’s attitude towards open data and open government. 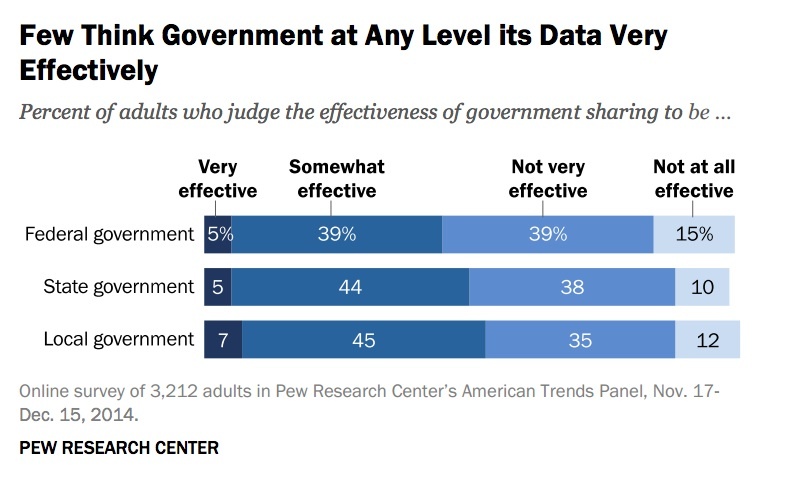 If you missed it, what people think about government data and the potential impact of releasing it is heavily influenced by the prevailing low trust in government and their politics. Other stories pulled out individual elements of the research (“Open data on criminals and teachers is a-okay, say most US citizens” or mixed results (“People Like U.S. Open Data Initiatives, But Think Government Could Do More” and “Sorry, open data: Americans just aren’t that into you“) or general doubts about an unfamiliar topic (“Many Americans Doubt Government Open Data Efforts“). 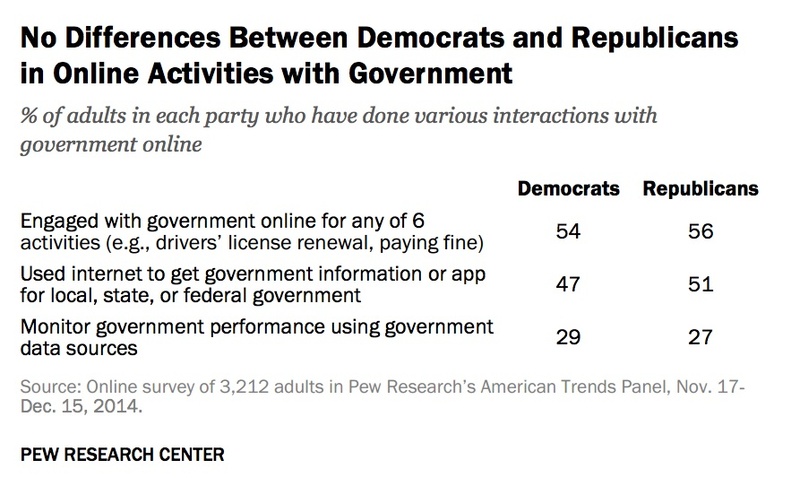 At least one editor’s headline suggested that the results were an indictment of everything government does online: (“Americans view government’s online services and public data sharing as a resounding ‘meh’.) Meh, indeed. As usual, keep a salt shaker handy as you browse the headlines and read the original source. The research itself is more nuanced than those headlines suggest, as my interview with the lead researcher on the survey, John Horrigan, hopefully made clear. It’s not clear how much of the bystander problem is also an access problem. According to a different new analysis done by the Pew Research Center, about five million American households with school-age children–nearly one in five–do not have high-speed internet access at home. This “broadband gap” is worst among households with incomes under $50,000 a year. Reaction from foundations that have advocated, funded or otherwise supported open government data efforts went deeper. 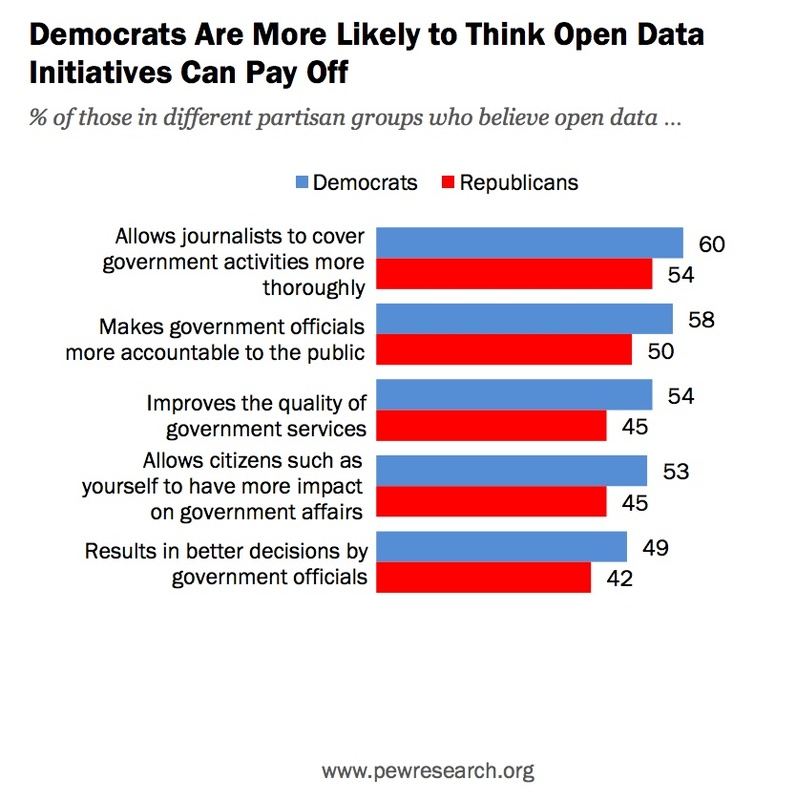 Writing for the Sunlight Foundation, communications director Gabriela Schneider saw the results from the survey in a rosy (sun)light, seeing public optimism about open government and open data. 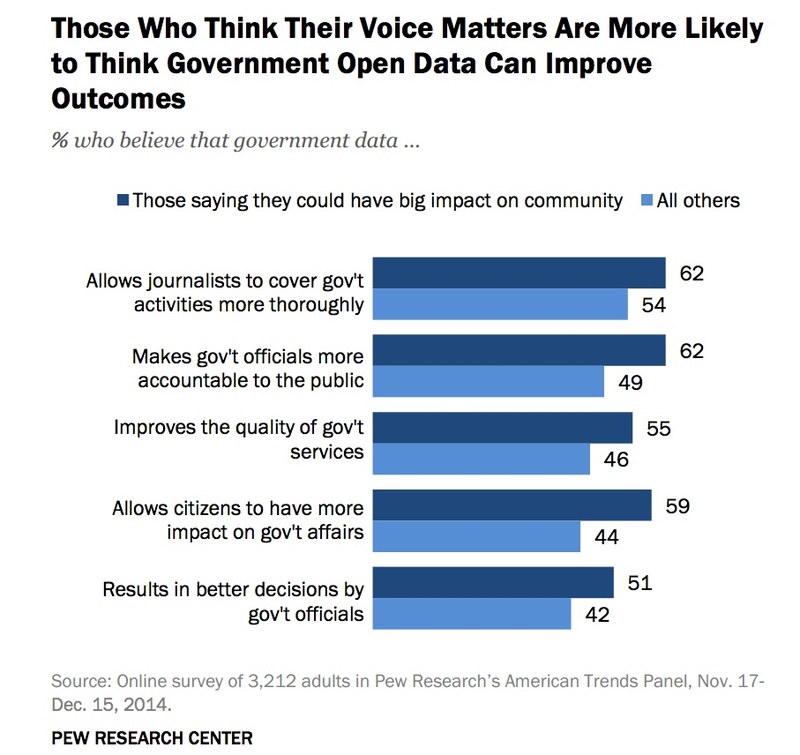 People are optimistic that open data initiatives can make government more accountable. 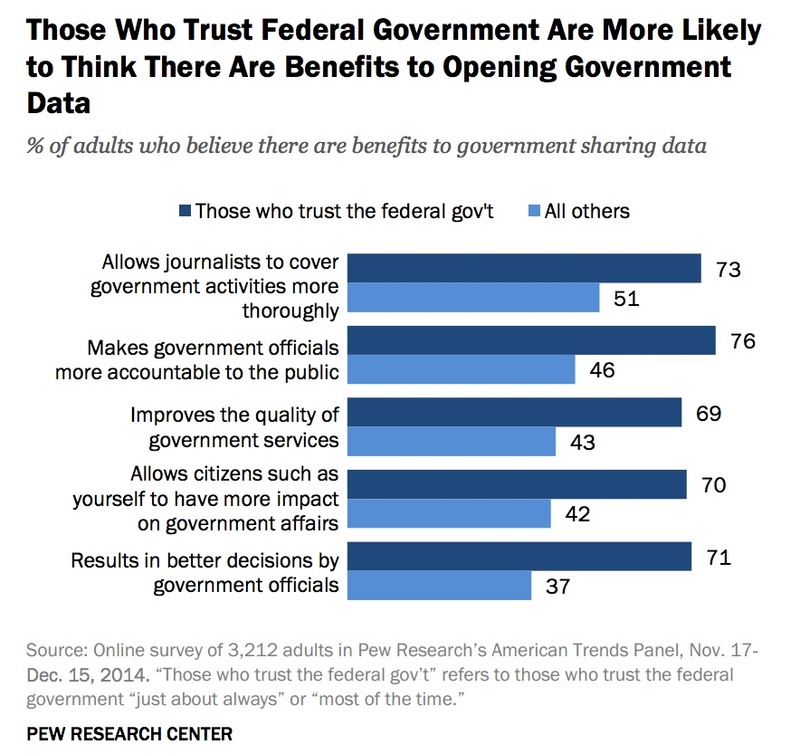 But, many surveyed by Pew are less sure open data will improve government performance. 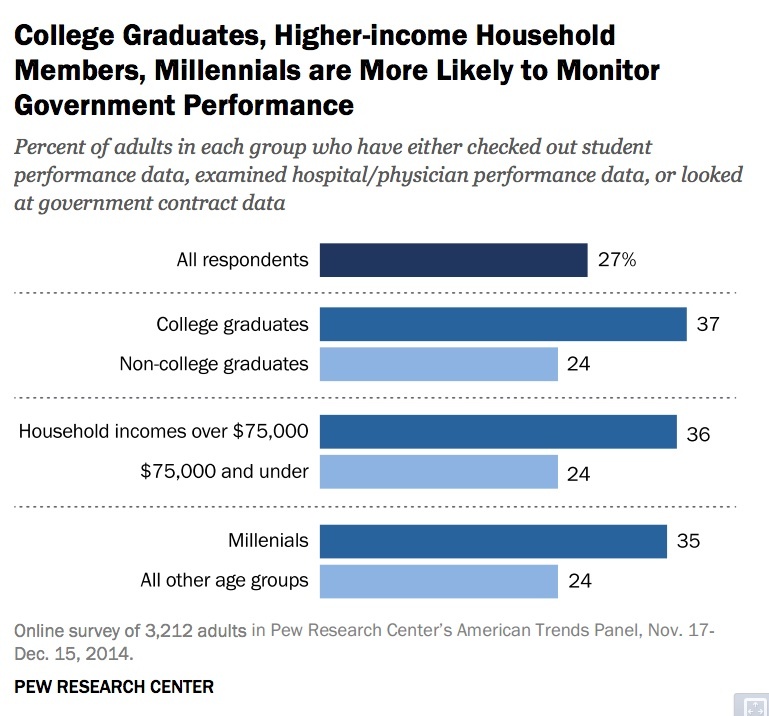 Relatedly, Americans have not quite engaged very deeply with government data to monitor performance, so it remains to be seen if changes in engagement will affect public attitudes. That’s something we at Sunlight hope to positively affect, particularly as we make new inroads in setting new standards for how the federal government discloses its work online. And as Americans shift their attention away from Congress and more toward their own backyards, we know our newly expanded work as part of the What Works Cities initiative will better engage the public, make government more effective and improve people’s lives. Undoubtedly, a greater focus is needed on explaining to the public how increasing the accessibility and utility of government data can drive accountability, improve government service delivery and even provide the grist for new startup businesses. 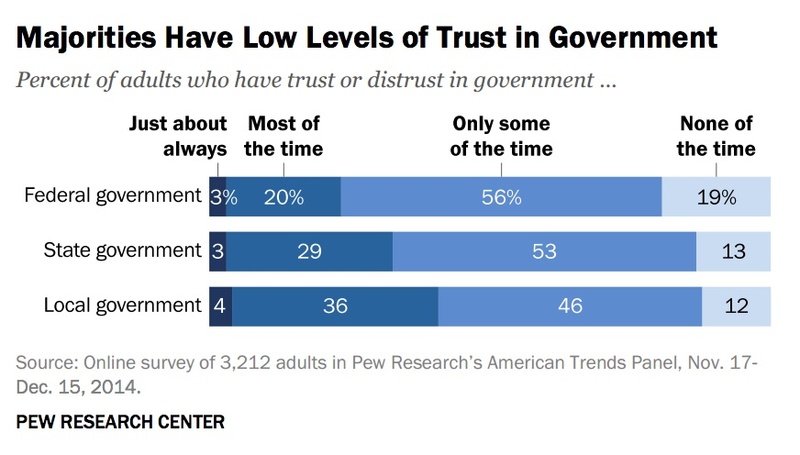 The short-term conundrum government data initiatives face is that while they ultimately seek to increase government trustworthiness, they may struggle to gain structure because the present lack of trust in government undermines their perceived impact. Steven Clift, the founder of e-democracy.org, views this survey as a wakeup call for open data advocates. 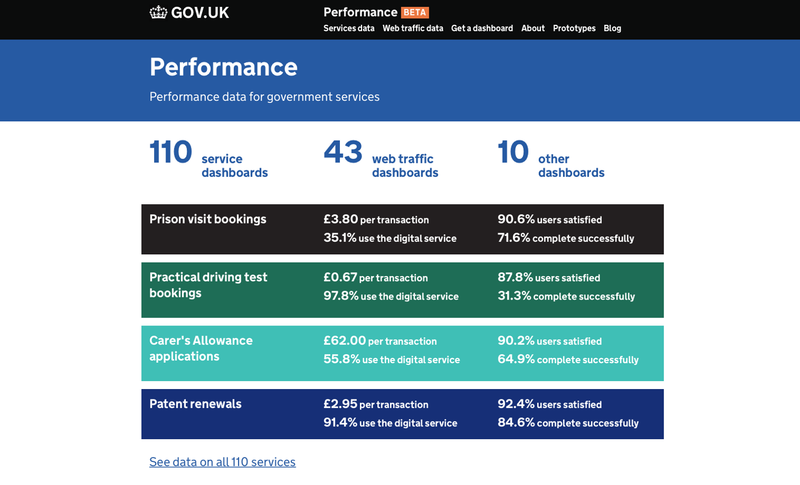 One reason I love services like CityGram, GovDelivery, etc. is that they deliver government information (often in a timely way) to the public based on their preferences/subscriptions. As someone who worked in “e-government” for the State of Minnesota, I think most people just want the “information” that matters to them and the public has no particular attachment to the idea of “open data” allowing third parties to innovate or make this data available. 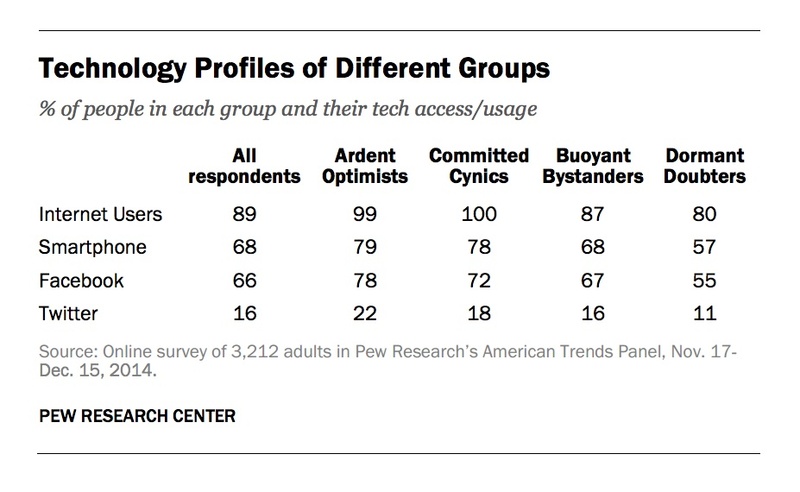 I view this survey as a huge wake up call to #opengov advocates on the #opendata side that the field needs to provide far more useful stuff to the general public and care a lot more about outreach and marketing to reach people with the good stuff already available. The modern open data and civic hacking movements were largely born out of the experience of cities. Washington DC, New York City and Chicago were among the first governments to actively recruit outside software developers to build solutions on top of their open data. And the first governments to partner with Code for America – and the majority over the life of the organization’s history – have been cities. How do school closings impact individual neighborhoods? How do construction permit approvals change the character of communities? How is green space distributed across neighborhoods in a city? Where are vacant properties in a neighborhood – who owns them and are there opportunities for reuse? These are all the kinds of questions we need people living and working in neighborhoods to help us answer. And we need more open data from local governments to do this. If you see other blog posts or media coverage that’s not linked above, please let me know. I storified some reactions on Twitter but I’m certain that I missed conversations or opinions. 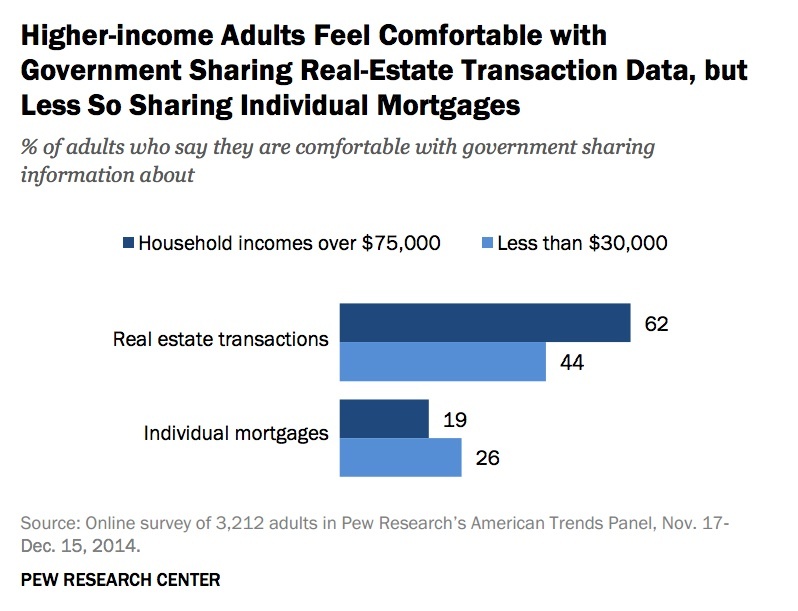 There are two additional insights from Pew that I didn’t write about yesterday that are worth keeping in mind with respect to how how Americans are thinking about the release of public data back to the public. 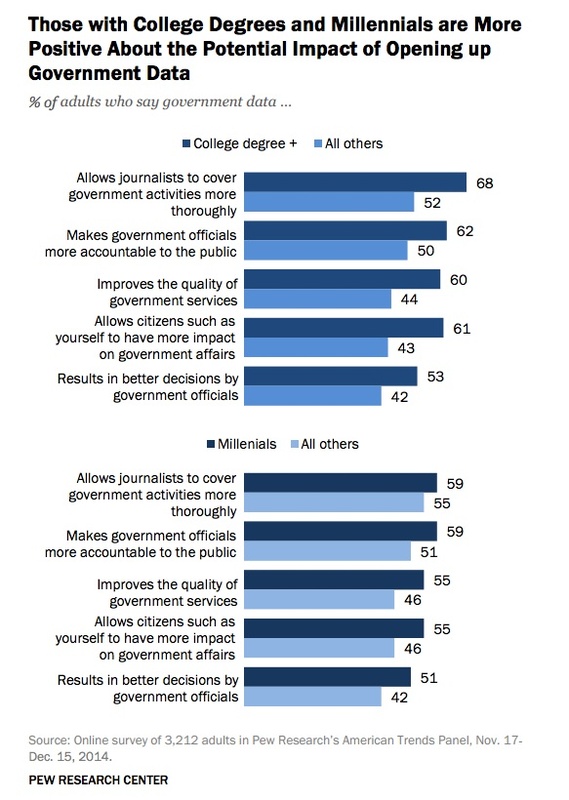 First, it’s unclear whether the public realizes they’re using apps and services built upon government data, despite sizable majorities doing so. Second, John Horrigan told me that survey respondents universally are not simply asking for governments to make the data easier to understand so that they can figure out what I want to figure out: what people really want is intermediaries to help them make sense of the data. This is the opportunity that Headd referred to, and the reason that data journalism is the critical capacity that democratic governments which genuinely want to see returns on accountability and transparency must ensure can flourish in civil society. 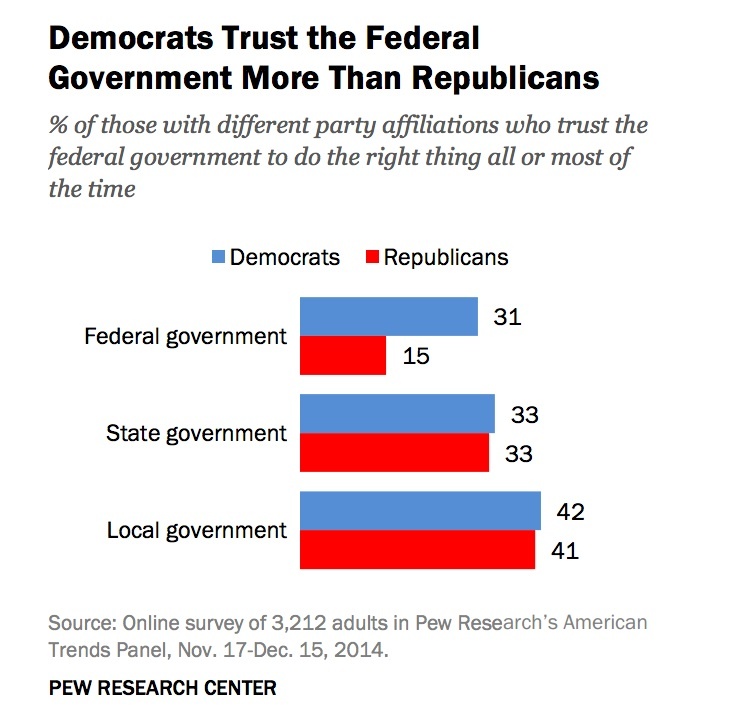 If a Republican is elected as the next President of the United States, we’ll see if public views shift on other fronts. 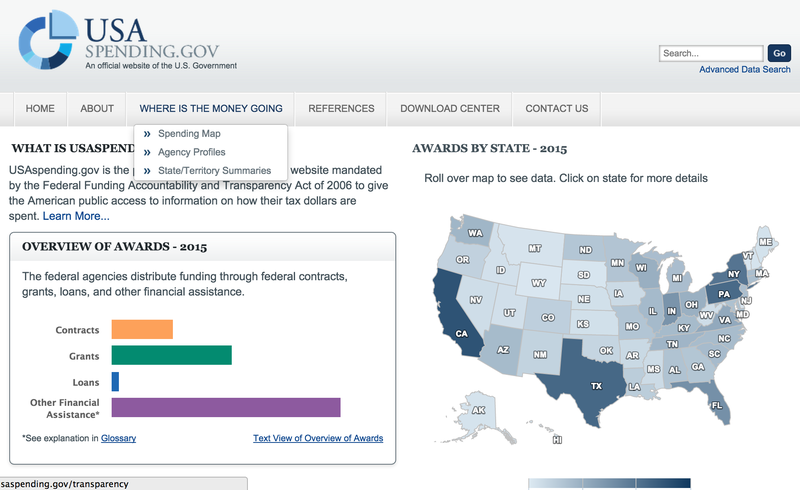 On April 1st, some reporters, open government advocates and people in industry may have hoped that a new redesign of USASpending.gov, the flagship financial transparency website of the United States government, was just a poorly conceived April Fool’s joke. Unfortunately, an official statement about the USASpending.gov redesign at the U.S. Treasury’s blog confirmed that the redesign was real. Analysts, media and businesses that rely on the contracting data on the site were loudly decried the decreased functionality of USASpending.gov. A week later, there’s a still no evidence of deliberate intent on the part of Treasury not to publish accurate spending data or break the tool, despite headlines about rolling back transparency. Rather, it looks more likely that there were been a number of mistakes or even unavoidable errors made in the transitioning the site and data from a bankrupt federal contractor. There was certainly poor communication with the business community and advocates who use the site, a reality that Luke Fretwell helpfully suggested at Govfresh that other government agencies work to avoid next time. 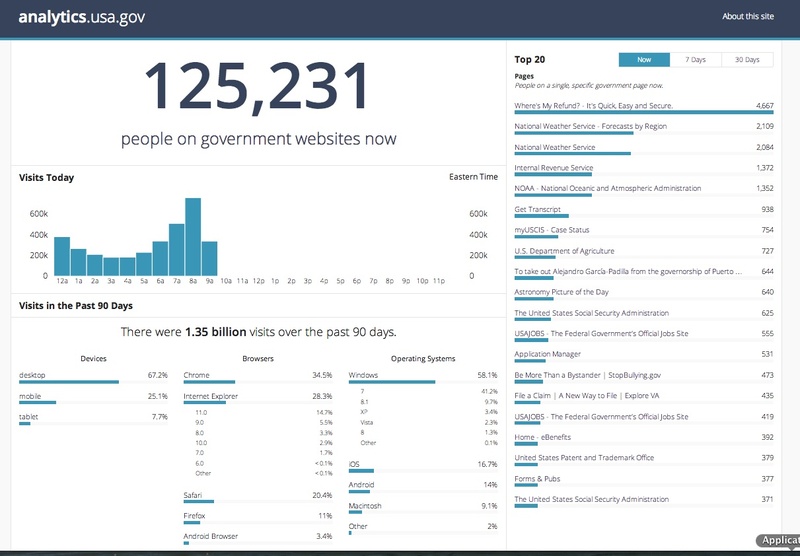 Today, as Fretwell first reported, the federal government launched a new repository for tracking issues on USASpending.gov on Github, the social coding site that’s become an increasingly important platform for 18F, which committed to developing free and open source software by default last year. The USAspending team has been working to improve the usability of the site and has made some great strides to make it easier for average citizens to navigate information. But at the same time, we all understand that some of our expert users (like a lot of you) seek more technical information and the team is striving to meet your needs as well. This is definitely a work in progress so please keep working with the team as it iterates on the best ways to improve function of the site while maintaining the content you seek. Your initial comments have been really helpful and the USAspending team is already working to address some of them. Zarek also said that several of the problems with data that people have reported been addressed, including the capacity to download larger data sets and define specific dates in search, and asked for more feedback. Specifically, this week the team addressed data export issues to allow the ability to specify date ranges to download data, added the bulk file format API, and modified the download capability so larger datasets can be downloaded. Additionally, data archives are being added continually. This week, they loaded the 2014 and 2015 delta files that show the new transactions in the last month. You can keep track of the ongoing improvements on the “What’s new” page. Please keep sharing your feedback and continue working with the USAspending team as it makes improvements to the site. You can do this through the site’s contact page or on the new Github page where you can report issues and track them in the open. If you find bugs, let the feds know about them on Github so that everyone can see the issues and how they’re addressed. As Mollie Walker reported for FierceGovernmentIT, there’s still missing functionality yet to be restored.